(CNSNews.com) - Even though the federal government was in partial shutdown for most of January, it still managed to increase its employees by 1,000, according to data released today by the Bureau of Labor Statistics. 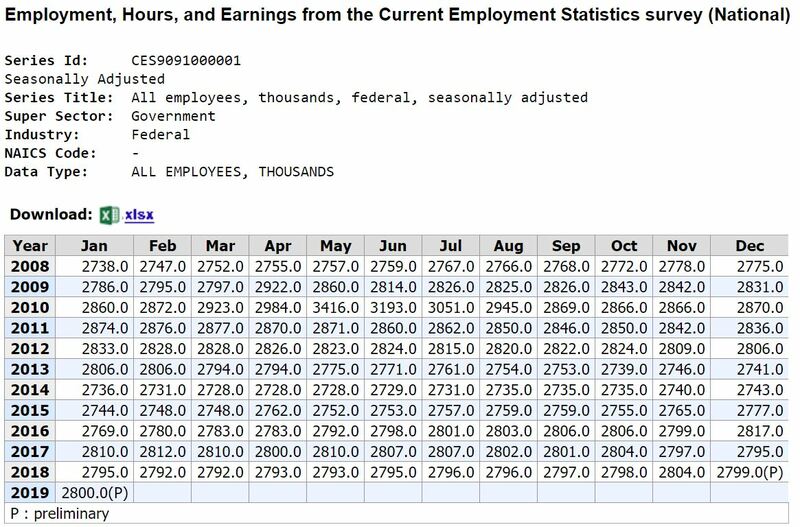 In December 2018, according to BLS, the federal government employed 2,799,000 workers. In January, it employed 2,800,000. The federal shutdown began on Dec. 22, 2018 and ended on Jan. 25, 2019. The BLS’s employment report said that with this net increase of 1,000 federal workers federal employment was “essentially unchanged” in January. It also noted that federal worker who were furloughed during the shutdown were counted as employed because they will be getting paid for the time that they did not work. The BLS employment report included an addendum explaining the impact of the partial shutdown.